Congratulations to Chris, the writer behind Sinda Essen and Jhen Thelev, whose short story “Lex Talionis” has won the April 2013 Writing Challenge. This record-breaking win is the writer’s fifth! This round asked participants to build their stories against the prompt “Do Unto Others.” Chris’s story explored the lex talionis, or retributive justice, concept via the Cardassians and Vorta. This story was one of the few unanimous declarations of winner in the history of the Writing Challenges. Congratulations, Sarah! 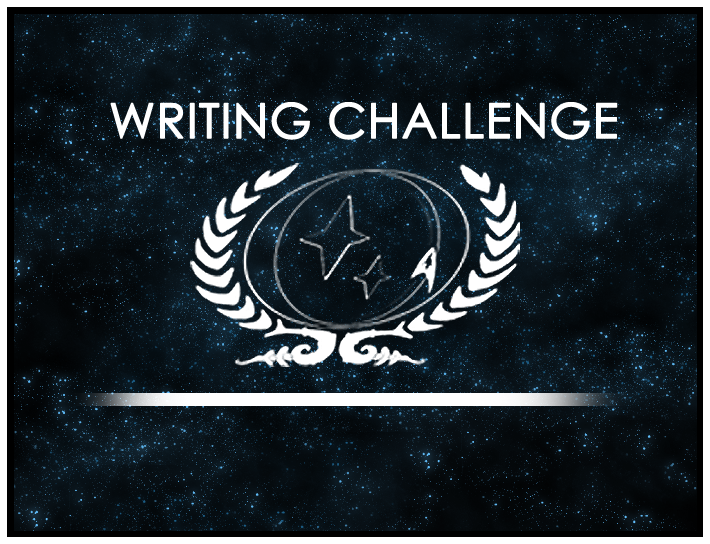 Our next Writing Challenge is already open, and Chris has chosen the theme “From The Past.” This is both timely and relevant as the Challenge will still be running during the release of Star Trek Into Darkness. The Challenge will be open until June 24th! What is a Writing Challenge “Champion”?